As a keen observer of startup investment trends, I have become very excited by one in particular over the past few weeks. When interested in something, I only know one way forward: head-on. Today I am taking a nosedive into the topic of food waste! Like many of us, I am deeply conscious of the effect that the daily habits of developed economies have on the environment and on the planet. I’m not just referring to obvious direct impacts, but also the more subtle ripple effects that extend from developed nation’s consumption habits and go on to shape younger, developing economies. Put bluntly, consumption shouldn’t simply be a discussion kept within the confines of one nation’s borders or within one supranational union like that of the EU. It concerns the whole world — even if all aspects of value creation, purchasing and usage take place within certain borders. In fact, one nation’s habits can arguably go on to shape much of the consumer behavior in developing countries. And if we, as Europeans, were to stand as an example, I believe our society still has a lot to improve upon before proving to be a shining example for the rest of the world. Developing economies are expanding their footprint on the environment at an exponential rate. They are, economically and across demographic lines, rightfully claiming more of what life has to offer as larger chunks of their populations graduate to middle-class status. Such a drastic change in lifestyle for such a large number of people poses, inevitably, an entirely new challenge to the sustainability of the human race on this planet. Without a deeper conscience that addresses the usages of natural resources, we will soon hit the ceiling of what the Earth can naturally offer. As I said, if we are called to stand as an example for the new global middle-class, we would be compelled to innovate the way in which we consume. We would need to learn how to avoid unnecessary waste in our economic cycles, and food is one of the largest problems at hand. For a long time, circular economy initiatives remained in the realm of nonprofits and NGOs. It was simply not possible to find a business model that would support the cause and cover the costs. Today this is changing, and consumer awareness along with new technologies have set the stage for food waste to turn from a nonprofit pipedream to a revolutionary business opportunity that is in every way necessary. Recent trends saw the rise of several startups that aim to redistribute food and produce at the end of the value chain directly to consumers. Near-expiration products or “leftovers” from retailers are generally thrown away because they are considered economically worthless by the seller. I have always found it deeply illogical. Like all goods, food in its useful life should follow a down-trending linear pattern: the less fresh, the lower the value. Yet, there is a general perception that food is either worth 100% of its value, or it’s worth nothing because there is no market for it. 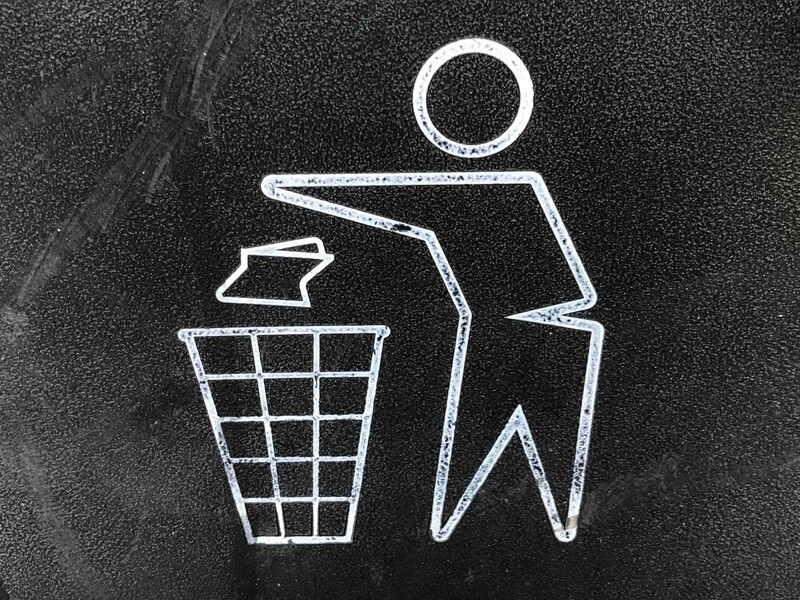 Consumer preferences and logistics made recycling uneconomical, leaving no other choice but to throw perfectly edible food products and produce in the bin. However, a change has occurred on both fronts. Consumers are generally more aware and environment-conscious than in the past, while technology now is able to better distribute the leftovers and do so in a timely manner. Few entrepreneurs had the foresight to see this new market emerging, but it’s now an expanding niche — allowing for new monetization strategies and offering a fair price for products near the end of their useful life, yet still perfectly suitable for consumption. Today, there are few companies leading the way in the food waste market in Europe. Here’s a non-exhaustive list of companies that attracted my attention, either because of their unique mission or because of their development stage. Ever asked for a doggy bag after a meal at a restaurant? Too Good To Go brings it to the next level and lets you buy and collect leftovers from — not just restaurants — but also bakeries, cafés, and takeaways at discounted rates. The company has not reported any financing on the main databases, but my research led me to conclude that it raised over €10m from investors from the Nordics. The company is active in Denmark, England, France, Germany, Norway, Switzerland, and just launched in the Netherlands. It counts over 150 employees on LinkedIn. Absolutely love this concept and can’t wait to try it. Launched in 2015 in London, OLIO is active in 41 countries worldwide and boasts 325,000 people signed up to share the food they don’t need before they expire. On top of being a P2P network, OLIO also partners with more than 120 retailers (e.g. Pret a Manger, Sainsbury’s, and Morrisons). The company has recently raised $6m from the likes of Octopus Ventures and Accel. The other behemoth next to Too Good To Go is Karma but, unlike TGTG, it also connects its users to grocery stores. In that sense, it feels like a mix between TGTG and OLIO. Karma has more than 1,500 retailers and 350,000 users and has raised a total of $16.7m to that, the last of which came in a massive $12m round a few weeks ago from the likes of e.ventures and Bessemer Venture Partners. Are you one of those consumers searching for an item with the longest expiration date? I certainly am. Why would I pay the same price, for the same product, when it’s less fresh? Wasteless solves just that. The company uses ML and real-time tracking to enable grocery stores to adjust pricing based on the product expiration date. Originally from Tel Aviv, the company recently opened its European office in Amsterdam and raised capital from a local active VC, Slingshot Ventures. It is less established as compared to the other players, but is definitely worth keeping an eye on. NoFoodWasted started in 2013 with a simple question: what happens to the discounted products on display in Dutch supermarkets if nobody bought them? Today, their app connects consumers with discounted products from more than 150 supermarkets across the Netherlands. I have found much more on their current traction, but I am nonetheless optimistic on the trend and the company has first-move advantage on the Dutch market. I see the next challenge for European farmers and livestock farmers as being the overproduction that has historically influenced the entire sector. Quotas were introduced long ago but they don’t solve the problem at its root. The cause of overproduction and the resulting pricing war is fostered by the use of aggressive farming techniques, pesticides, chemical additives, and monocultures. If the sector was to survive, it would need to reinvent itself. It needs policies and, more important, market incentives that aim to produce quality food, improve diets and shorten supply chains. It needs policies that protect farmers, promote ecological farm practices, rebuild soil fertility and, crucially, secure farmers’ livelihoods by sustaining yields over time. In other words, the next wave in food waste innovation is likely to be at the origin of the value chain rather than at the end of it. But for this innovation to happen, it will probably need to bring consumers closer to the source of their food, thus creating a wider, more conscious demand for what we purchase on a daily basis.